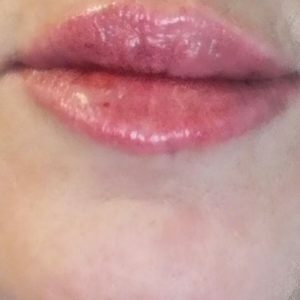 Dream of a luscious pout? Or plumper cheeks? Dermal fillers has significantly expanded over the aesthetic field to clear disturbing skin conditions that normally develop with age or even a cosmetic solution to make one feel and look beautiful. Dermal fillers can reduce creases, folds and wrinkles. Want a more sensual and pronouncing pout? Lip enhancement, nose reshaping and cheek augmentation can be achieved in one single session of Dermal Filler with entire procedure time of 10 minutes. 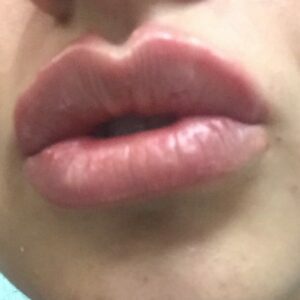 As time goes by, lips tend to lose their definition due to dryness and loss of volume. Beauty and youth are often desired and many people, especially women will ensure both are maintained throughout their life. With suitable maintenance, this can increase one’s self esteem and confidence. 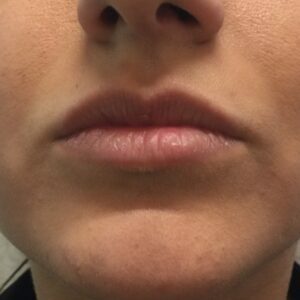 Procedural lip enhancement can reduce the tendency to develop overly prominent wrinkles and lines above the top lip. These developments on the lips or flaws are commonly referred to as “smoker’s lines”. 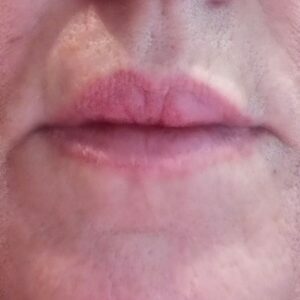 Well conducted lip enhancement can have non to very minimal side effects. Clients who have undergone the procedure have reported high levels of satisfaction and confidence. Prior to the procedure, you will be invited for a consultation with our registered and experienced nurse, who will happily discuss options with you. You will have an in-depth consultation to discuss the facial features you would like to enhance and how we can help you do that with Juvéderm®. There will be some forms to complete on the day of the consultation and prior to your procedure taking place. This is to ensure you have been given accurate information based on your current medical background, lifestyle and preferences, any medication you are on, any other procedures that you have had done on the areas. We operate a strict ‘open and honest’ approach and use our consultations as an opportunity to educate you as much as possible. All our Anti-wrinkle injectables are administered by our registered medical professionals who are highly trained and have a passion for facial aesthetics. What areas can you use Dermal Fillers on? We can enhance the cheeks by adding volume above the cheekbone. Dermal fillers can also straighten crookedness in the nose area and also be used to fill out the lip and the lip line. Following a filler injection, you may experience slight redness, swelling, or bruising at the injected area. These effects should not last for more than a week. You are able cover up any skin discoloration with makeup 12 hours after your procedure. How long does the procedure itself take? The procedure itself can be done on your lunch break as it will take no longer than 15 minutes! Dermal Fillers normally take 15 minutes to administer and the results can be seen immediately. Results will enhance over a period of 7 days once any swelling has dispersed. The smooth consistency of the products in the Juvéderm® range allows our nurse to administer the filler easily and smoothly. Many also contain 0.3% Lidocaine to reduce injection pain for a more comfortable experience. Dermal fillers is a technique-sensitive treatment— Our medical staff are licensed and trained and with ample experience treating patients. Be wary of discount products or “cheap”—if it sounds too good to be true, it probably is.